High quality web content is an important part to the overall success of any type of website so that your company can retain visitors and rank high on the search engines. Content can help to attract customers and provide them that crucial first impression. This is the same content that will keep them coming back to your website. Websites such as Google are very picky about what type of content you put on a website. If you do not have high quality content, then it is not going to take highly in their search engine. If it doesn’t “look” like they want it to, they can simply give it the boot. The facts are the facts. Internet users tend to get bored very quickly so you better give them a valid reason to keep returning to your website. Most people only have a set amount of time to spend on the internet so you have to give your visitors something to grasp onto. It has got to be good enough to keep them away from Facebook or Twitter for more than a minute. Your content has to be original. There are no exceptions to that rule. The content must be varied on a regular basis so that you can entice your customers to return. Many companies have no idea how often they should switch up their content. The simplest answer to this question is as often as you possibly can. You may not think that titles play a vital role in the success of your website but you would be wrong. In order for your website to rank highly on Google or other search engines, you need to use the right keywords that are targeted to your business or niche. You will need to understand the importance of meta data and how they impact the ranking of your website. If you have a business that sells pet products, you better make sure that the web content reflects this but not in overabundance. No one expects you to know everything about web content. You are a business person, and you don’t have to learn all about it. 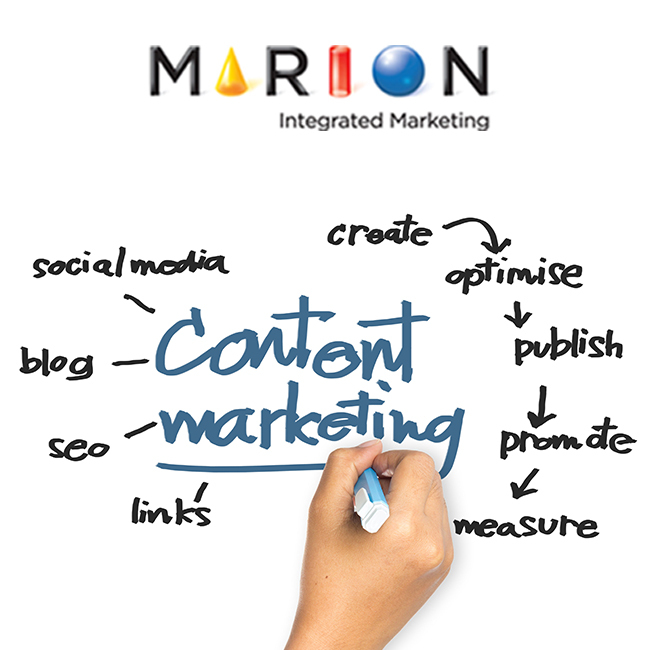 If you want high quality content marketing services, then Marion Integrated Marketing would be a great place to start. Let the professionals do the work for you and convey the importance of great web content.